We're very sad to report that long-time friend, club developer and owner, and association pioneer, John S. Wineman, Jr. passed away on August 19, 2018 in Highland Park, Illinois, a suburb of Chicago. 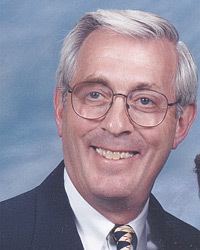 Bob Fitzgerald, long-time friend and partner of John Wineman, commented: "John and I were business partners and close friends from 1973 until his recent death. Simply put, in so many ways, he was the best person I have known." John McCarthy, IHRSA Executive Director Emeritus, commented: "John was a calm and thoughtful leader in the National Court Club Association, which joined with the National Indoor Tennis Association to found IHRSA. Everyone admired John. He was a kind, warm, generous and upbeat person whom everyone respected and enjoyed." Rick Caro, IHRSA Co-Founder and long time friend of John Wineman, commented: "Many may not know the foundational role John Wineman played in creating the health club industry as we know it today."